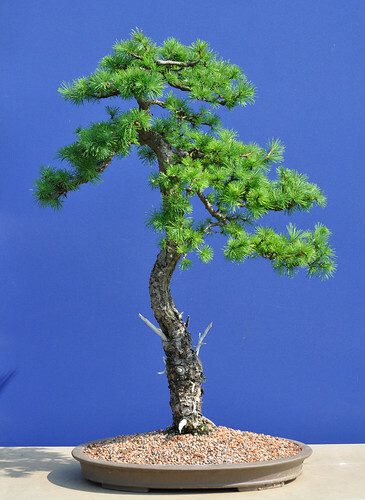 Today’s offering is is a Japanese Larch belonging to Ian B. Ian has owned this tree for many years and it has flourished under his care. What was once a straight trunk was bent using the technique of splitting the trunk and bending with raffia and heavy wire. It then healing the split in the new position. Evidence of the split is almost gone due to the maturing of the bark.